The Lennox LRP14HP is a “meat & potatoes” packaged rooftop heat pump. As you would expect from a premium brand like Lennox it does have good bones. Thinks we’ve come to expect from Lennox include; Copeland scroll compressor, wrap-around louvered coil protection, and an internally mounted condenser fan. The LRP14HP is Lennox entry-level efficiency model. It meets the minimum standard for a new HVAC installation. *NOTE: Efficiency based on HSPF Zone 4 (Arizona & the Southwest). As Magic Touch Mechanical is located in Mesa, AZ we service the Phoenix, Arizona area. 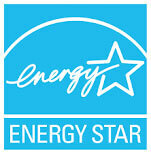 Check with your local Lennox Dealer for HSPF ratings in your region. What is a scroll compressor? If you cut open a scroll compressor it would remind you of a spinning drill bit. If you cut open a semi-hermitic piston style compressor, it would remind you more of a car engine. Scroll compressors are less susceptible to breakdown because there are fewer internal moving parts. They’re also quieter than most piston style AC compressors. Copeland is the manufacturer’s brand name. Aside from a few brands that manufacture their own compressors like Trane and Mitsubishi, most manufacturers use Copeland today. In the past we saw brands like Tecumseh and Bristol used more often than in recent years. Copeland has proven to have a good track record for low failure rates. For that reason, we’re fans of the compressor maker! The LRP14 heat pump sound ratings are not very impressive as compared to most of their other models. However, considering packaged units are typically installed on a roof, that may not affect the end-user so much. This model is rated to operate at 78dB (decibels) in every size 2-5 tons. Magic Touch Mechanical has installed hundreds of LRP14’s throughout the Phoenix area. We’ve installed this model in both rooftop and ground-mount applications. We haven’t received noise related complaints from those clients…so maybe we’re just picky! *Requires product registration within 60-days of installation. It’s the homeowners responsibility to register the product. 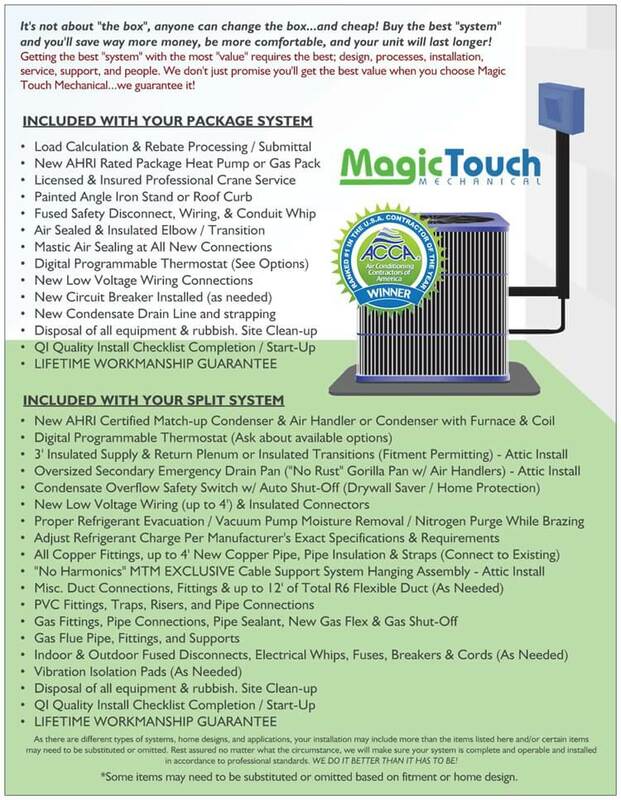 Magic Touch Mechanical includes registration with all new unit installs. However, not all HVAC Contractors do. If you’re not in our service area, make sure to register your product yourself. We recommend and install more than a half-dozen brands of heat pumps. In the last two-plus decades we’ve installed thousands of rooftop heat pumps in and near Mesa – Phoenix, AZ. 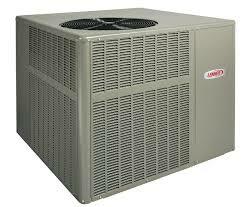 Brands like: Trane, Goodman, Rheem, York, Carrier, Day & Night, Amana, American Standard and more. We say that to fairly state the following: In our opinion, and this only applies to packaged rooftop units: The best built packaged unit brand on the market is Trane, and the best value (bang for the buck) packaged unit brand is Lennox. Yes, we sell other packaged unit brands! We base that opinion on price, failure rate percentages, client feedback and surveys, durability, and name brand recognition when selling your home. This does not weigh in factory rebates or company sales. The LRP14HP is, compared to other 14-SEER packaged heat pumps, a great value. How Much Does the Lennox LRP14HP Cost? Installed pricing varies depending on where you live, and specific application. Expect complete installation of the Lennox LRP14HP packaged heat pump to range between $5,000 and $6,500 including tax – before rebates, promotions, and local utility participation. (Depending on size, upgrades, factory rebates, tax credits and contractor promotions).